Epona Ultra Grooming Mitt with Thumb. Nothing caresses a sesitive horse like the shape of your hand. Use this horse grooming mitt dry to curry, or wet to bathe. 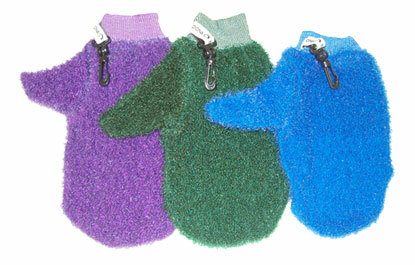 The grooming mitt promotes natural hair shine for your horses beautiful coat.